Dry, rough, itchy or flaky skin can be unsightly and also uncomfortable. In severe cases, dry skin results in scaling, cracking or even bleeding. People of all ages and skin types can be affected, even those with oily or acne-prone skin. However dry skin is most common in mature patients. The first step your dermatologist may recommend for dry skin is protecting your skin against possible environmental factors that cause dryness. This might involve the use of a humidifier or by modifying your personal hygiene routine. Special skin care products may be recommended as well. There are many non-prescription moisturizers that work well for treating dry, rough skin in patients with all skin types, especially those containing urea and lactic acid. When dry skin is caused by a chronic skin condition however, such as psoriasis, a stronger treatment may be necessary. Cold weather or dry climates may cause temporary dry skin symptoms, but for some people the problem can persist year-round, no matter what climate. Sun exposure and devices that decrease humidity (central heating and cooling) may also cause skin dryness. Harsh detergents in soaps and other beauty products may cause or contribute to dry skin, especially acne treatment products. Frequent showers and baths may also cause a person’s skin to dry out. In some cases, the cause is a symptom of another skin condition, such as eczema or psoriasis. If you experience persistent dry skin that doesn’t improve for several weeks, causing interference with sleep or intense itching, you may need to see a dermatologist. Do you have questions about treatment of dry skin? 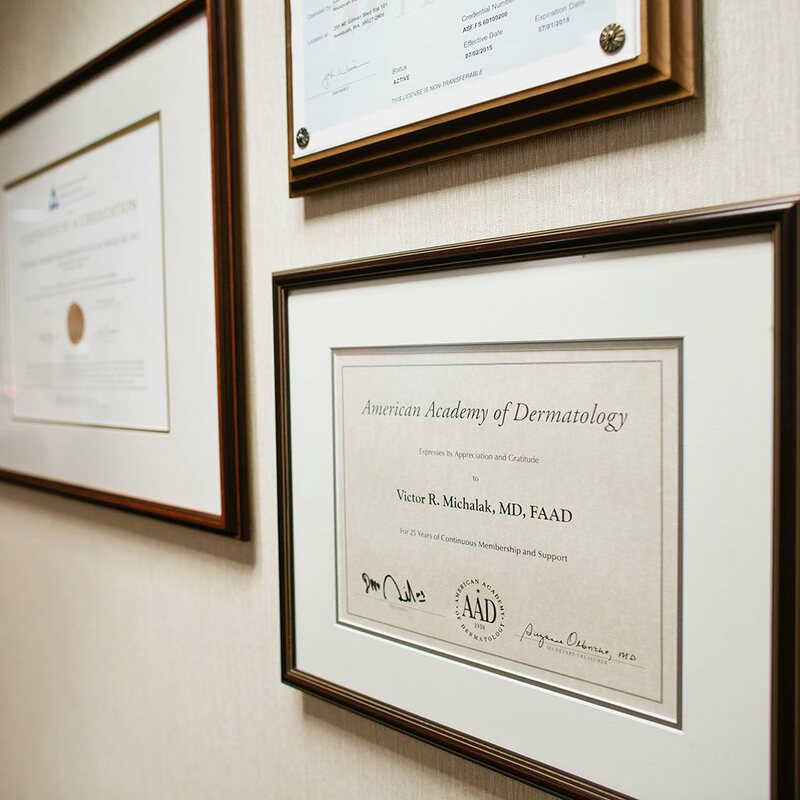 Contact the Issaquah Dermatology office of Dr. Michalak to learn more about dry skin or to make an appointment.